A year ago when I decided to be a candle maker, I knew from the very beginning this wasn’t just a hobby. It would be a full blown business. I began doing research on how the big companies got their start, and I soon found Mike Kittredge’s name. He had started Yankee Candle and got his start doing exactly what I was doing – making candles on his stove. Since Yankee Candle is a house hold name and one that I hold near and dear to my heart with my own memories around those scents, I was sucked into his story and he quickly became one of my candle inspirations. I soon learned that he sold the company back in 1998, basically retiring from the wax business. However, that was before his son, Mick, had to make and promote a school project. 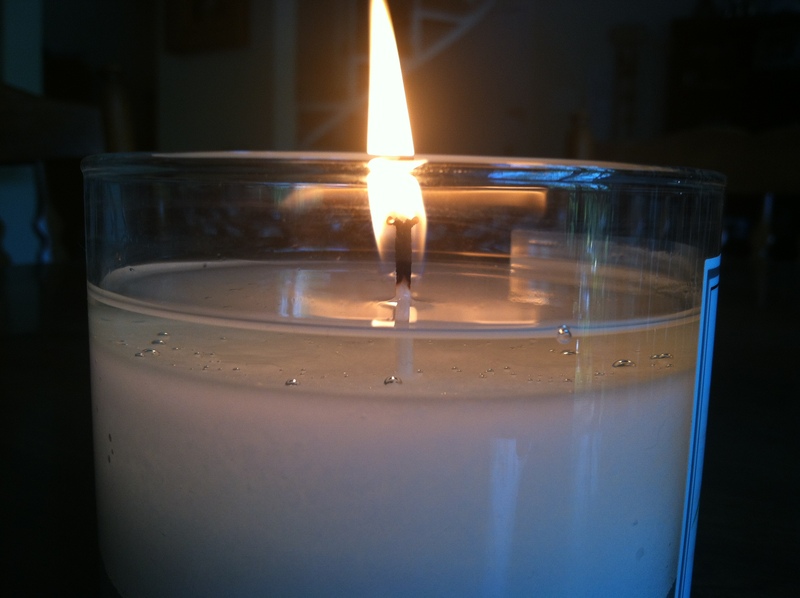 For Mick, deciding what product to make and promote was clear – making candles. 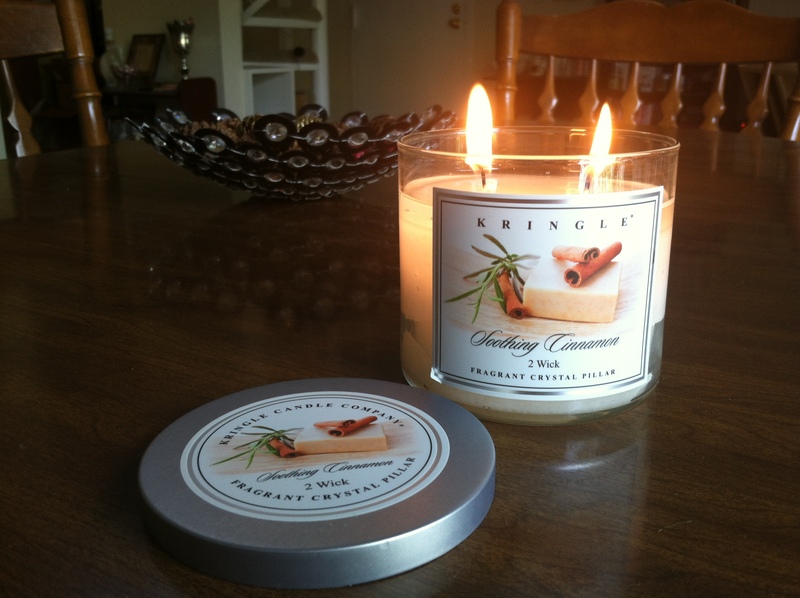 It prompted the father and son team to begin Kringle Candle, which opened their doors in 2010, in Bernardston, Massachusetts. Kringle Candle (named after Chris Kringle, a name prompting feel good memories, as candles do the same) uses food grade paraffin wax. The first thing you might notice, other than the sleek labels and jars, is the fact that the wax is all white. It’s becoming widely known that Kringle does this because white fits any decor (no pink candles for the manly man, please) and it reflects a brighter flame in the wax pool. The results are simply stunning. 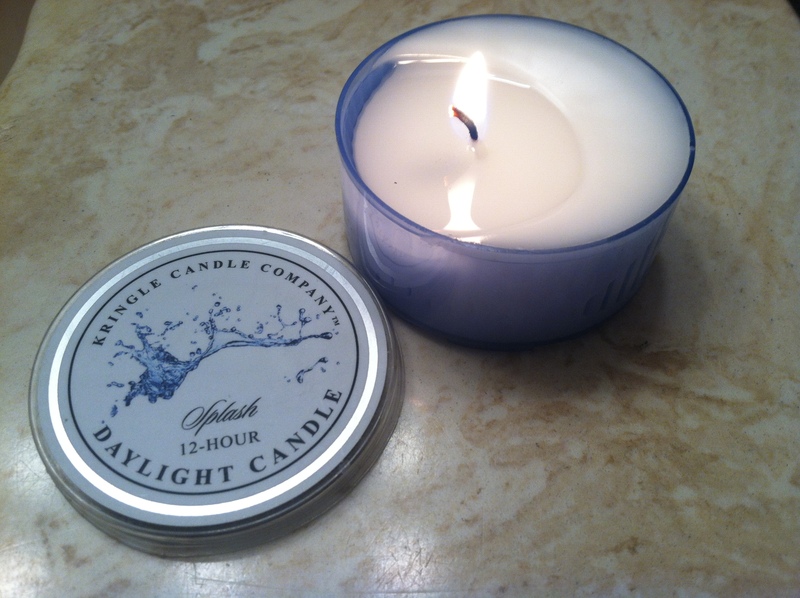 I’ve been wanting to get my hands on these candles for a while now, even ordering a small order of Daylight candles (12 hour candles), so you can imagine how excited I was to team up with Kringle to do this review for you guys! They also gave me a coupon code for free shipping off your order, good for 30 days: KringleReview64. 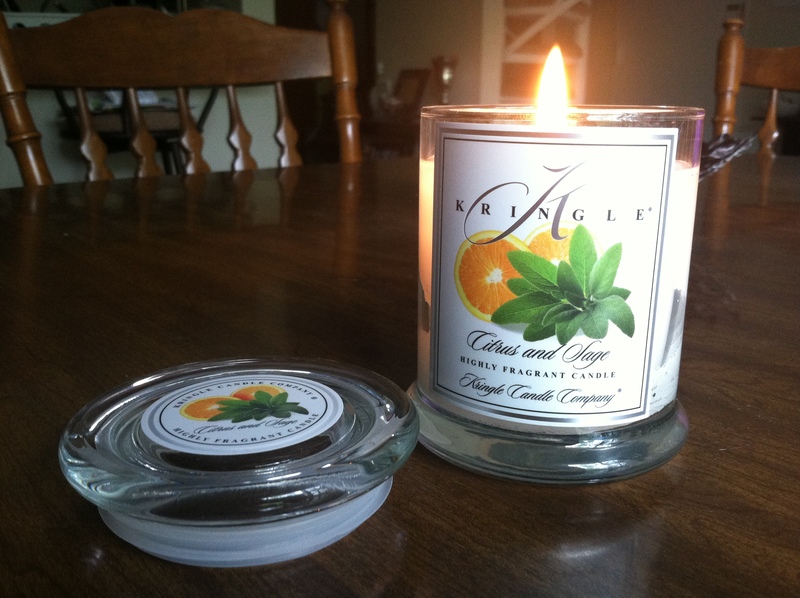 Visit www.kringlecandle.com to get your piece of the new candle legacy and sample an array of gorgeous jars! Watch my first impressions video below and then I’ll tell you how I liked the products in my blog! Two-Wick Crystal Pillar – Soothing Cinnamon – $24: cold throw (how strong the scent is and what it smells like before burnt or melted) was a little light when sniffing the actual candle. This is why the key is smelling the lid, where you get a truer impression of the scent. This is cinnamon mixed with vanilla and a little bit of coconut. I actually liked this one a lot. It’s the perfect blend of fragrance and the cinnamon doesn’t hit you in the face. It had a perfect even burn and the wax pool was beautiful! The hot throw was great, too, filling up my apartment. Medium Classic Apothecary Jar – Citrus and Sage – $20: This one smells very similar to the one from Yankee Candle, and it’s one of my summer favorites. It burned great, and had a very strong hot throw. I would definitely purchase this one! Splash: this particular one has a very good scent throw for a Daylight. To me, this smelled like a light cologne or aftershave, and very fresh. Lemon Rind: this is a great lemon rind scent, which is very tangy and tart. I will say that this had a very mild scent throw, even in my small bathroom. This scent is probably better in a bigger container. Mango: this was an amazing fruity scent! It smells just like a fresh juicy mango. I personally don’t like fruity scents, but this one will have you drooling in no time. It had a good scent throw in the Daylight. Clove: I’ll have to say up front that I don’t think I would purchase this one. I’m used to this being combined with cinnamon or nutmeg. It does smell good, but I just didn’t enjoy it as much as I thought I would by itself. American Apple Pie: on cold throw, this was my favorite! It smelled like the most authentic apple pie scent in a candle. However, I was extremely disappointed by the scent throw on this one, especially because I liked it so much. I could hardly smell it, even in my small bathroom. Watercolors: this was my absolute favorite! It’s the perfect blend of a little floral and fruit. It had a great scent throw and even my husband liked it. Definitely not an overwhelming floral. This is perfect for Spring and Summer. Rosemary: I don’t know why I thought this smelled like Christmas to me at first. When I broke the wax melt apart, you could definitely smell more of the herbal earthiness to it. However, when melting in my burner, it didn’t have a very good scent throw. Fresh Mint: AMAZING! This quickly became another favorite of my husband’s and mine. It smells very authentic and reminds us of making fresh Majito’s in the Summer. I would definitely recommend this and purchase this. No. 4 (from the Men’s line): This is a blend of wood, citrus and musk. It reminds me of a man just getting out of the shower and you can still smell his manly shower gel or deodorant. This had a great scent throw. *By the way, the jars from the men’s line are amazing! You have to check them out! No. 13 (from the Men’s line): This has spice, woods, citrus, and a little touch of floral. It’s probably my favorite out of the two men’s fragrances I received. This also had a very strong throw. All in all, I really enjoyed the majority of the scents. I totally recommend Kringle Candle to anyone who loves candles, loves Yankee Candle, or who wants to depart from Yankee and wants something better or new to try!